We have served Stokes County since 2004 and are manned by volunteers. There are no paid staff in our organization. We rely on donations and fundraisers to support our program. We are always in need of volunteers to help with spreading the word about the importance of spaying and neutering. In December of 2014, we became a part of the ICARE program, funded by the sale of the N.C. ICARE license tags. $20 of each sale of a tag goes to the Spay and Neuter fund in Raleigh. This has been an incredible asset to our spay and neuter program because it allows us to receive reimbursements for surgeries for low income families here in Stokes county. 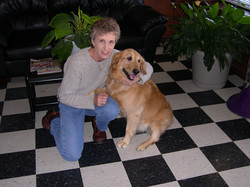 We are able to help more families and pets! If you know of someone who needs a pet altered and does not have the funds, please direct them to our "Spay and Neuter" page for guidelines to qualify for assistance. Our mission is to help reduce the pet overpopulation here in Stokes county.